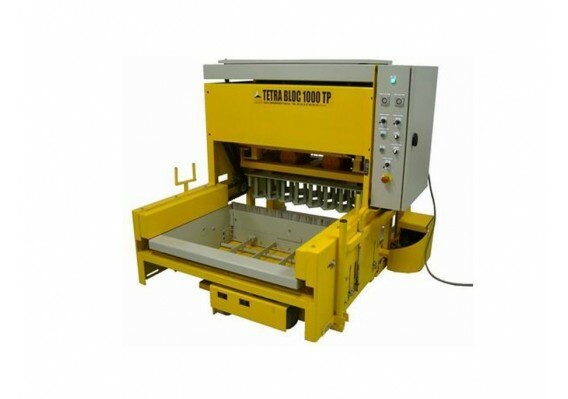 Semi-automatic block making machine TETRA BLOC 1000 allow to create products 40cm or 50cm in length, the TP model also allows users to perform self-locking cobblestones. 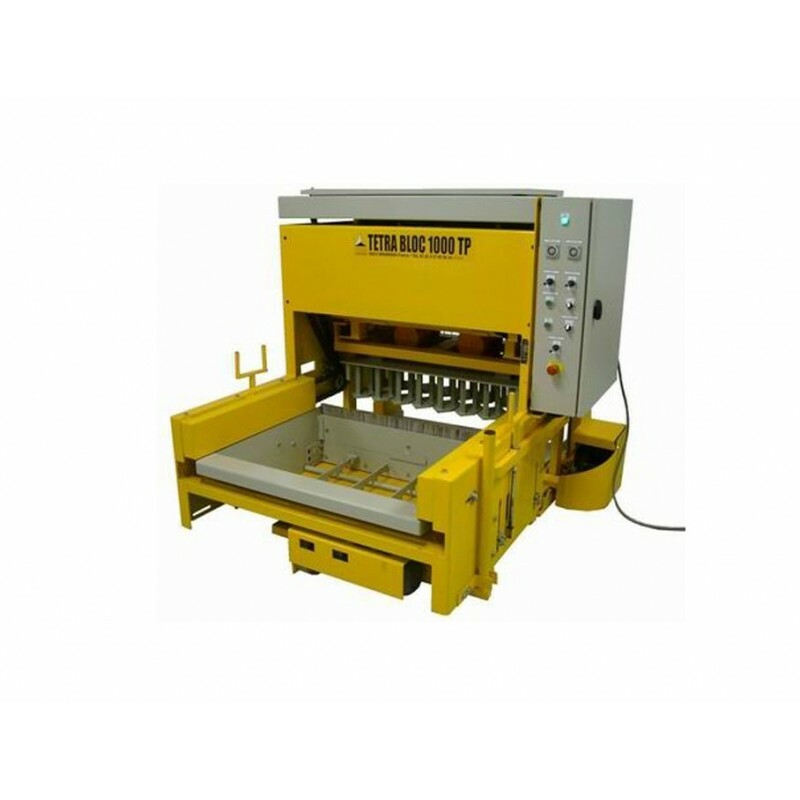 The daily production of this type of equipment corresponding to several layers TOUTAGGLO (depending on the product type), it can be interesting to make that choice. However, we must take into account the size, the weight of the machine and the need to work in good conditions surface. Indeed, it will be less easy to move a TB 1000 rather than one or two laying TOUTAGGLO. A TETRA BLOC 1000 requires a concrete slab 500 to 600 m², a block machine TOUTAGGLO requires a 150 to 200 m² area (depending on model). The TB1000 T has electric vibrators phase 220V or 380V - 2,80kWh. TP TB1000 has electric vibrators phase 220V or 380V - 2,80kWh and 4,25kWh (cobblestone mode). The list of blocks in the 40cm and 50cm Block pages is not exhaustive. We also manufacture molds for the realization of "shuttering blocks" of "post corner blocks" and any kind of special molds on demand.